The hunt for signs of life on Mars has been on for decades. 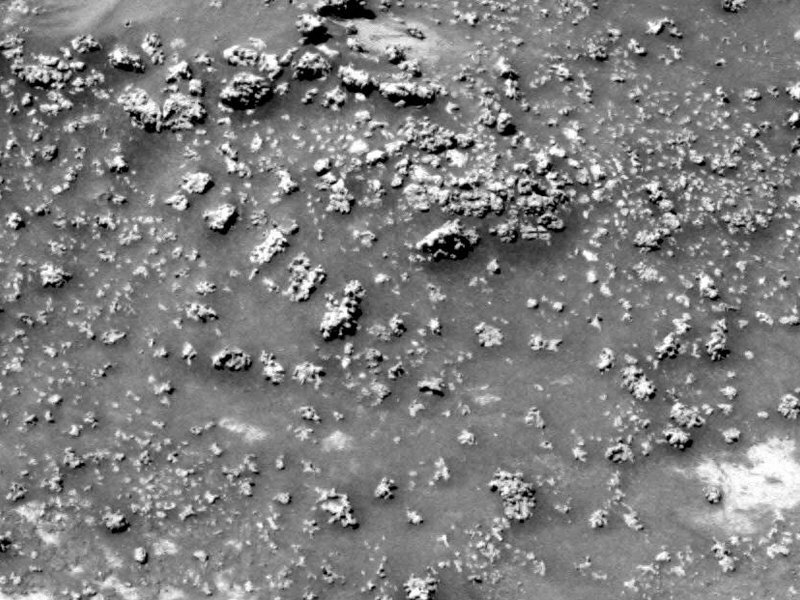 Now a pair of astronomers thinks that strangely shaped minerals inside a Martian crater could be the clue everyone has been waiting for. In 2008, scientists announced that NASA’s Spirit rover had discovered deposits of a mineral called opaline silica inside Mars's Gusev crater. If the logic holds, the silica cauliflower could go down in history as arguably the biggest discovery ever in astronomy. But biology is hard to prove, especially from millions of miles away. Spirit found the silica protrusions near the “Home Plate” region of Gusev crater, where geologists think hot springs or geysers once scorched the red planet's surface. For the moment, Ruff and Farmer are calling attention to the Martian cauliflower because they believe it's worth further study. For instance, research teams can take hard looks at the various processes that could have spawned the formations on Mars and help to rule out non-biological alternatives. “Only when something that we have identified as a potential biosignature is proven to have been produced only by life, and not by any abiotic means, can we make the claim that definitive evidence for life has been found,” says Sherry Cady of the Pacific Northwest National Laboratory in Richland, who is a member of the NASA Astrobiology Institute. She agrees that the silica growths at Home Plate look like those near hot springs on Earth. But she would like to examine the evidence up close—and not just in portraits. “I would certainly like to see some of those samples brought back,” she says. While Spirit stopped its scientific roving in 2010, NASA’s Mars 2020 rover, due to launch in a few years, is supposed to collect samples for eventual return to Earth. And the most recent meeting to narrow down landing-site choices for the rover kept Gusev crater on the list of candidates. Maybe the rover should pick some of that cauliflower and potentially turn Home Plate into a home run. Supercritical Fluids: A New Direction To The Search For Extra-Terrestrials?